As a self-confessed Instagram addict, it’s safe to say a lot of my time is spent scrolling. I like to think I’ve developed a bit of a knack for sifting through the same content and discovering cool girls who not only inspire me to be more experimental with my outfits but also test out new beauty trends. 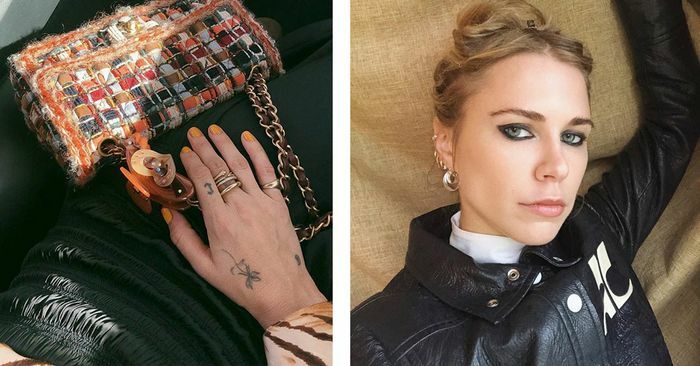 Here’s the thing: Having spent the majority of my adult life on platforms like Instagram, I know that finding a fashion girl who can also match her mani to her Marni is like finding a needle in a haystack, but there are some to be discovered if you really persevere. One particular girl who consistently trailblazes with both her fashion and beauty choices is 31-year-old L.A.-based blogger Courtney Trop of Always Judging. Her images regularly feature within my saved section on Instagram for this exact reason. In fact, I’ve started to notice a bit of a pattern for the type of content I save from her feed. They fall into one of these four categories: manicures, piercings, It bags, or coats. Granted, she knows a thing or two about dresses, shoes, headbands (okay, the lot, but give me a Trop post and I can guarantee I’ll want to at least experiment with one of the above). Keep scrolling to see what I mean.